As a mom, I just love finding new products for my family that are all-natural and eco-friendly! Before I had kids, I had no idea how many toxins exist in our everyday lives! But, like many people, I have found that it's so hard to find the best products out there without spending a ton of time and money hunting for and trying them all out! So, what if there was a way to have a package of eco-friendly and all-natural products delivered to your doorstep every month? Well now there is! I am proud to provide you with a preview of an awesome new company goodgood box! Subscribe to a month to month recurring plan or a 3, 6, or 12 month prepaid plan. We scour the USA for cleaning, hygiene, home and food products that are unique and most importantly, good for you and good for the world. Our mission at goodgood box is to change the world we live in one product at a time. We provide all natural, recyclable, eco-friendly products from the U.S. that are good for you and good for the world. We give 3% of your sale to 3 incredible organizations that are helping change the world! When my box arrived, I was honestly like a kid on Christmas as I couldn’t wait to open it up and find out what wonderful products were inside for me! concentrated so you only use a little to get the job done. leaping bunny certified not tested on animals. I used the Common Good All Purpose Cleaner and SKOY cloths together. I first wet the SKOY cloth and twisted out all of the excess water. I cleaned all of our counters with the cloth and cleaner and really loved the results! The cleaner left no residue, smelled wonderful and appeared to clean better than any commercial chemical laden cleaner I had used previously. The SKOY cloth was really absorbent! It had no problem cleaning all of our counters, center island and kitchen table without having to use another cloth. After cleaning, my husband rinsed off the SKOY cloth and popped it in the microwave as the directions said, to disinfect it. Then he just laid it out and let it dry. These are definitely our new go to cloths for cleaning everything in our home, including the kids hands and faces! Review: The Eco Nuts were ready to go in the little sack and I just dropped them into my giant 5 cubic foot top-load washer. 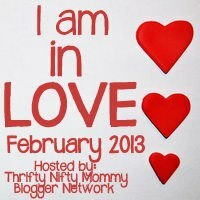 I used them with several loads of the kids clothes and cloth diapers! It’s so nice because they all came out very clean and I didn’t have to worry about them causing reactions on my children’s skin or coating my cloth diapers with residue! We use only certified gluten free oats and amaranth from trusted growers who conduct testing on every harvest batch. Review: Yum!! Both of these bars are really nutritional and delicious! I normally don’t buy commercially produced granola bars since they are so easy to make at home, but if I do, I will definitely add these to my list! They are really great for a morning pick-me-up or an mid-afternoon snack! Review: I have a tendency to shy away from gum since I know it’s full of nothing but chemicals and artificial sweeteners (i.e. aspartame) and since I don’t find myself craving gum, I have never bothered to search for and find all-natural versions. The arrival of Glee Gum in my box was timed perfectly as I recently decided that I would try to ward off my natural tendency to constantly snack at my desk by chewing gum. The Glee Gum was a nice size for a quick flavor burst and tasted better than most of the artificial versions I have had! My only wish was that the flavor stuck around a little longer. Even so, I will definitely not be buying artificially flavored gum again and “sticking” with Glee Gum! Overall, they should really call this a greatgreat box, as I just loved everything I received! It was so nice and convenient to receive a selection of good for you and environment items that were hand-picked by the owners of the company! I highly recommend this as a gift for yourself or anyone you know! It encompasses so many wonderful things: convenient, eco-friendly, all-natural, sustainable, and so much more! Don’t forget that they give 3% of your sale to 3 incredible organizations that are helping change the world! Learn More: You can learn more about this wonderful company on the goodgood box website. Buy: Get your goodgoodbox subscription started today on their website! It’s just so fun receiving this that everyone should have it! 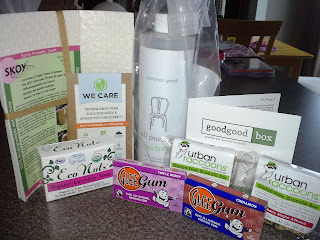 Win: Goodgoodbox has been kind enough to offer my readers the chance to win a one month box! Use the entry form below to enter! I love the quality food sent to you and donating to charity at the same time! 1 % for the planet is my favorite! 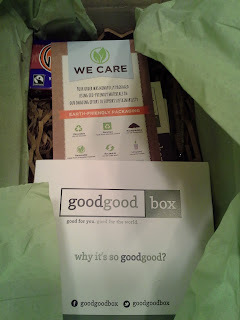 I like that all products are eco-friendly and I love surprise boxes! Charity; water - I don't think people in the US realize how important clean water is, and how lucky we are to have so much of it, at out finger tips. I couldn't imagine not having fresh, clean water to drink and clean with, and plenty of it. I love both Compassion and Charity: water. I have supported a child in the past through Compassion and may sponsor another one in the future. I love the Compassion International. Every child deserves help in any way. They're the future. Compassion is my favorite charity, because it helps those that might not be able to help themselves. Charity: Water is my favorite of the 3 that they support. Charity water - Its essential for everyone! I love Charity: water because they help bring clean water to people who don't have it and they use 100% of public funds for their water projects. I really like the skoy reusable cloth. I am planning on switching over to cloth "paper" towels and this would totally help me out. Plus, they sound like they work so much better. I love the charity water because they bring safe water to developing countries who are in dire need. I really like the organic laundry soap. I like Charity Water because there are places all over the world that is not as fortunate as us to have clean water. i like the charity water, great cause! I like charity water, because everyone needs clean water. Compassion International, I sponsor a child through them. I love Charity Water! I love that they help people get clean water! Everyone needs and deserves to have clean water available! elaineb1@ymail.com I think the Charity Water is a very good charity. I like that they find cleaning, hygiene, home and food products that are unique, good for you and good for the world. *charity:water because everyone should have access to clean water! charity:water. we all need water, but its sad to think of those who can't even get any when we take it for granted!